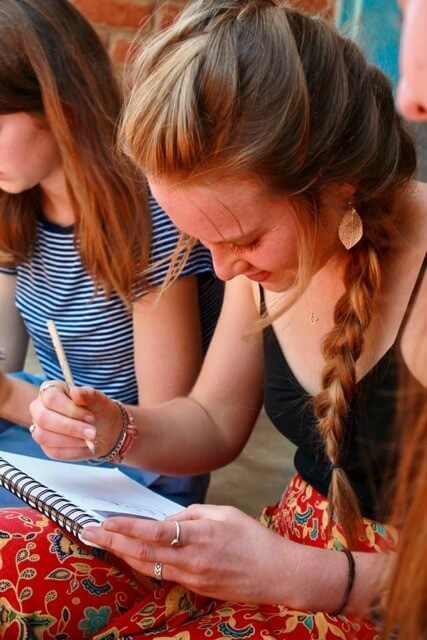 Miranda Ellis is twenty-one, in the middle of her third year at Cal Polytechnic State University and has already held an internship working on Food Policy for Frances Moore Lappé, studied Food Security in Malawi, India and Italy and received a grant to research listeria for Food Safety. 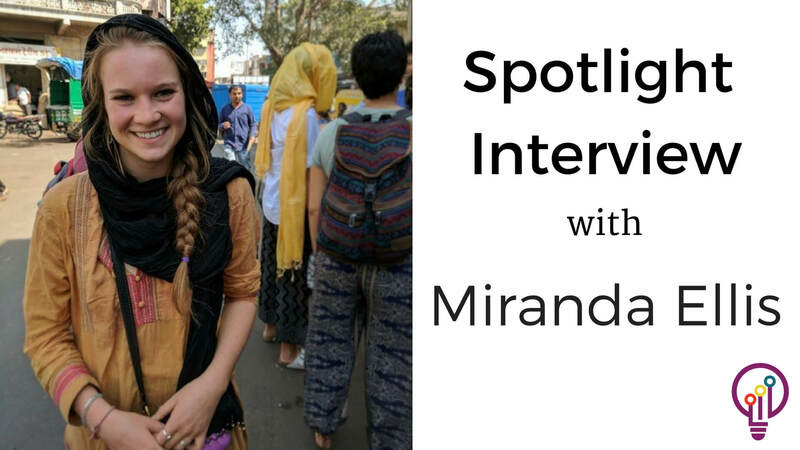 W.IN wanted to know what inspired Miranda to dive into STEM, what motivates her and what she plans to do next. What degree are you seeking? Art has always been a part of my life, but I wasn’t sure I wanted to have a career in it. When I got to school I felt something was missing so I added the minor. My interest in Nutrition started because I was an athlete and I was learning how to fuel my body in order to perform well in sports, so that I could be my best me, then I started to read books… It was a specific book, Diet for a Small Planet that opened my eyes to our food system and what food means to the big picture. Tell me about how you ended up doing an internship with the author. After I read Diet for a Small Planet my mom wrote to Frances Moore Lappé and told her that her book inspired me to major in nutrition and Frances responded by sending me a book and a letter. My Mom gave the book and letter to me as a Christmas gift. I reached out to Frances a few years later, asking if she had any internships. That was a courageous thing to do. What was the best thing about your internship? What was cool was to have known about the author and the impacts of her work but then realize she is known all over the globe. I got to work in her office and see what she, a woman in her 70s, can do. I got to see that big change can come out of one person and a small office of two staff members and six interns. Eighteen months into college you left to study abroad. What drove you to make that happen? 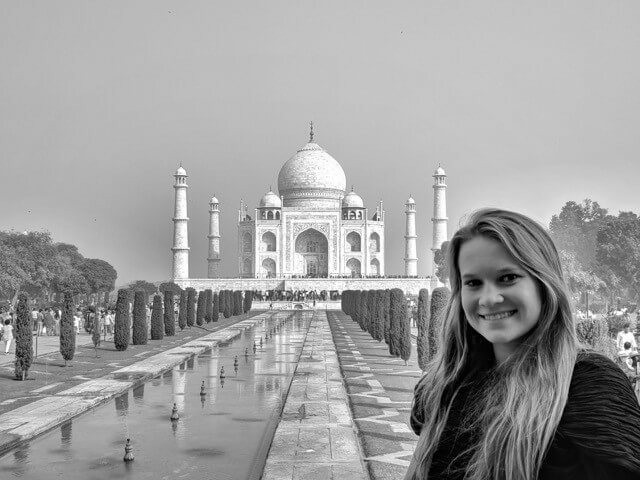 I knew I wanted to study abroad, but specifically, I wanted an engaged experience. I wanted to learn and have a focus. It needed to be intentional. There was a new program that appealed to me because it offered travel to three different countries. I studied Food Security which is applicable to my major and was a big part of what I learned from Frances in another one of her books, World Hunger: 10 Myths. What it means to me is Food Access but it’s a lot bigger than just being able to eat every day. It’s also the quality of food and having a sustainable and equitable food system. I learned a lot about the social aspects of Food Security, and I’m learning the science aspects in school. What do your studies include in school? What it means to me is food-access but it’s a lot bigger than just being able to eat every day. It’s also the quality of food and having a sustainable and equitable food system. I learned a lot about the social aspects of Food Security, and I’m learning the science aspects in school. What do your studies include? I study the chemistry of metabolism and I take physics as well. I also take a ton of biology. When you think about future careers for yourself, what are some of the things you think about? One of the paths I am looking into for an occupation is Medical Illustrator, which is a specialized degree. During my anatomy and physiology courses, and even metabolism, being able to draw chemical structures and draw organs and functions is how I would study. I loved studying. I had these journals of all these chemicals and reactions and I kept them because I worked so hard. I worked hard, but I loved it. What will the summer look like for you? I received a grant that gives me a stipend for house in San Luis Obispo over the summer which is a big deal because, well, because it’s California. I will work with a professor from the Food Science Department who focuses on studying food safety and we’ll look at non-traditional salad greens. There’s a lot of research on lettuces like iceberg, romaine and even spinach but less on the new greens that people are eating more of, like beet greens and kale. We’re looking at listeria growth and different patterns like if it grows worse or better in typical storage temperatures, and how it all relates to the microbiome of the plant itself. It’s about Food Safety because at this point listeria is a problem. What would you say to students who might be looking into STEM? There are so many possibilities. Science, technology, engineering and mathematics can be a part of a lot of different jobs. There was a while when I thought I didn’t fit into STEM but that’s not true. You don’t have to be a computer scientist to be in STEM.